The truth is, our summer really is only two months long. There might be some nice weather and sunshine on either end of July and August, but let’s be real, these two months are pretty much it for summer here. 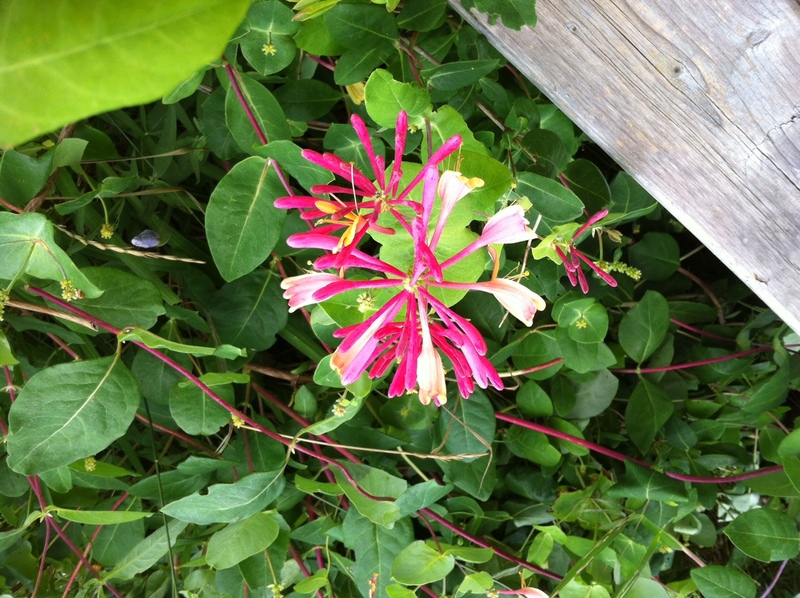 The picture above is a pretty honeysuckle that I snapped a picture of while visiting a friend yesterday, at the renovated farm house she’s renting for the summer. It’s a special spot, really light and airy and pretty, filled with art, looking over St. Ann’s Bay. We had a really nice visit. So today! Some Links Loved for your perusal. And then I’m off to Louisbourg to check out their Crab Fest! I’m excited for that, as I’ve never been to it before. And, I loooooove seafood. I love how LaTonya includes her baby in a sling in this style post, and how simple her style is. This Mother’s Day post by N’tima Preusser, about her own mom and not being perfect, was really powerful, real and wise. Not only do I love this new artist Meghan Trainor and her song (it’s my summer head-bopping-while-driving song), but I love the colour scheme and fonts on her website. The “Beautiful Mess” team’s Casual Friday posts are always fun, and I love the behind-the-scenes look at their creative business. Part 7 of How To Be Awesome is up! And that’s all she wrote today, folks. Have a great weekend! This entry was posted in Day to Day Life, Design, For Fun and tagged Links Loved. Bookmark the permalink.